Depending on the final rules soon to be issued by the Federal Aviation Administration regarding the use of drones for commercial purposes, the potential for new business opportunities by legal videographers could be great, according to NCRA member Gene Betler, CLVS, co-chair of the Association’s CLVS Council. Betler, a retired air traffic controller and owner of Betler’s Reporting & Legal Video Services, in Huntington, W.Va., led a presentation about the potential use of drones for commercial use at NCRA’s recent TechCon event held April 10-12 in Denver, Colo.
“The FAA is still working to get the rules in place for the commercial use of drones but is also currently working to revise regulations related to how drones are used for personal reasons. As of now, can you fly them for recreational use? Yes. Can you use them for commercial purposes to make a profit? No,” Betler said during his presentation. Betler provided attendees with an overview of the history of drone use, as well as a timeline leading up to the current regulations and the reasoning behind FAA’s proposed change in rules regarding their noncommercial use. Currently, he said, the FAA is proposing to amend its regulations to adopt specific rules to allow the operation of these small unmanned aircraft systems in the National Airspace System. The changes would address the operation of unmanned aircraft systems, certification of their operators, registration, and display of registration markings. The proposed rule would also find that airworthiness certification is not required for small unmanned aircraft system operations that would be subject to this proposed rule. Lastly, the proposed rule would prohibit model aircraft from endangering the safety of the National Airspace System. Betler also shared information about the types of drones available on the market, the range in cost from $100 on up, the capabilities they have, and scenarios for potential commercial use. He also shared footage taken with his own drone flying over his home and surrounding property and noted that the video was sent back immediately to him on the ground. 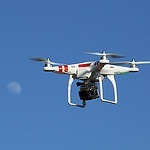 The footage included video taken from 300 feet to 500 feet in the air and demonstrated how the operator could also control the angles of shots. According to Betler, the investment in a drone is no more than the investment in purchasing a new camera, and the opportunities for their commercial use are potentially vast. Other uses Betler noted that drones could be used for included surveying damaged roofs for insurance claims, accident footage, and videoing real estate. Belter also noted that while the FAA is working to amend its current regulations related to the personal use of drones, the growing number of people purchasing them to use as a hobby has led to many states currently making their own rules regarding their use, especially when it comes to air space, privacy, and specific locations where flying the unmanned aircraft could prove too dangerous. 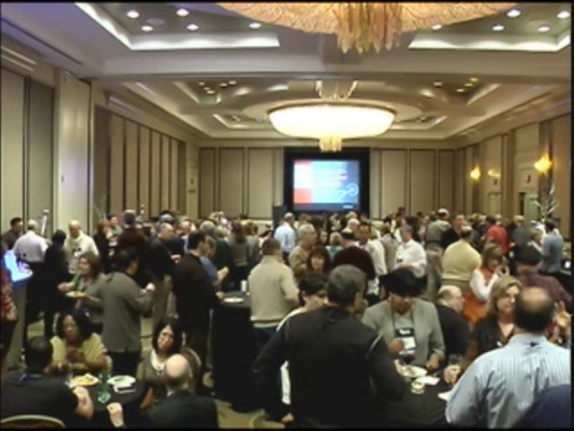 TechCon 2015 was held April 10-12 at The Curtis: A DoubleTree by Hilton hotel in Denver, Colo. The event included training and testing for the Realtime Systems Administrator certificate and the Certified Legal Video Specialist certification, along with Legal Tech Labs on topics ranging from hooking up to realtime to drone use in legal video. The stories below detail some of the highlights of the event. TechCon 2015 kicks off in Denver, Colo. Looking for some fast-paced fun learning? Then plan to attend NCRA’s 2015 TechCon event this year in Denver, Colo., April 10-12, and learn firsthand about the latest in new products, services, and technology being offered by a number of companies that support the court reporting, captioning, and legal videography professions. Vendors registered to exhibit at the 2015 TechCon event include: Caption Colorado, MediaRebel Inc., meetingrooms.com, ProCAT, Realtime Coach, Remote Counsel, Stenograph, Thomson Reuters, and YesLaw. To learn more about these vendors and the products, services, and technology they have to offer, click here. Make plans now to join more than 120 of your peers and colleagues already registered to attend NCRA’s leading technology-focused event that always delivers cutting-edge sessions and workshops, including specialized educational tracks. Schedule highlights include the Certified Legal Video Specialist Seminar and the Realtime Systems Administrator Workshop, an informal networking gathering, and a line-up of sessions designed to help professionals from the court reporting and legal videography fields boost their technical and marketing skills. For information, including more about the scheduled workshops or sessions, or to register, please visit NCRA.org/TechCon. NCRA’s 2015 TechCon event takes place this year in Denver, Colo., April 10-12, and promises a line-up of sessions designed to deliver the latest in technology, trends, and tips to help professionals from the court reporting and legal videography fields boost their technical and marketing skills. TechCon is the leading technology-focused event that promises cutting-edge sessions and workshops, including specialized educational tracks such as the Certified Legal Video Specialist Seminar and the Realtime Systems Administrator Workshop, which helps boost the value of CLVSs by increasing their skills related to dealing with variations of realtime systems including hook-ups. Also on the schedule this year is the RSA Prep Course designed to provide attendees with the information they will need to ensure success when taking the RSA Workshop. Participants in the Legal Tech Lab can expect to learn more about creating an effective networking environment from NCRA member Lisa Knight, RMR, CRR, a freelance reporter from Littleton, Colo. According to Knight, who also chairs NCRA’s TRAIN Task Force, participants will be introduced to an array of different networking environments, including LAN, WAN, Connectify, hotspots, and Jetpacks, that can be used to output realtime feeds. Other topics scheduled to be covered during the Legal Tech Labs sessions include a panel discussion of best practices of remote reporting, overcoming the fear of realtime reporting, tools and tips to market technology, and live editing realtime. 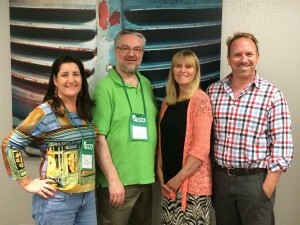 “TechCon is at it again, assembling the pros to share their best tips on producing daily copies and rough drafts,” said Sue Terry, RPR, CRR, a freelance reporter from Springfield, Ohio. Terry, who also serves on NCRA’s Board of Directors, will co-lead a live editing realtime session. “No matter which system you’re on, all are quite capable of producing work quickly for a scopist to pick up or even edit live. 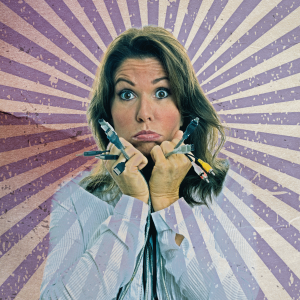 Come to this session for a discussion and demonstration of the best methods to complete your daily copy or rough drafts, and leave with a thorough understanding of the best practices for the fasted edition of transcripts when working with a live or remote scopist,” she added. “Listen firsthand to reporters who write realtime on every job, and learn their secrets for creating practically perfect realtime output in the most challenging of situations,” added Knight, who is also co-leading the live editing realtime session. Other highlights on this year’s program include an informal networking session and the Vendor Speed Dating session where attendees can get to know the vendors who provide services and products to the court reporting profession. Register now to join colleagues, peers, and new acquaintances from the court reporting and legal videographer fields, as well as other legal professionals, all looking to increase their skills and earn CEUs while learning about the latest in technology. NCRA’s TechCon 2015 is being held at The Curtis: A Doubletree Hotel by Hilton in Denver, Colo. For information including more about the scheduled workshops or sessions, or to register, please visit NCRA.org/TechCon. The hotel deadline has now been extended to March 23. Connecting your client to realtime – overcome the fear factor! For those of you who have decided against providing realtime to your clients because of the added pressure of troubleshooting, fear no more! Don’t be overcome by the fear factor of troubleshooting your realtime connections. The good news is that with the various options now available to output your realtime, the vendors updating their receive software, and the resources now available for troubleshooting, it’s a breeze to have an almost 100 percent connection success. Over the past few years, and certainly over the last year, our realtime vendors have created an environment that provides success in realtime connections. With the various options available to output your realtime, you get to make the choice: cables, Bluetooth, WiFi Remote (called a WAN), or WiFi Local (called a LAN). More good news! Realtime receive vendors now make it easy to detect which COM port your realtime is feeding through to your client. The Windows Device Manager, a necessity to know and understand thoroughly, is now replaced with the smart software. Now, that doesn’t mean you don’t need to know how to maneuver your way through Windows and get to the Device Manager. It means that less often will you need to troubleshoot the COM port settings. News of this update alone should alleviate most everyone’s fear of providing realtime. Every court reporter should now have the resources to access the information to be confident in connecting clients to realtime 100 percent of the time. One such resource is the Realtime Troubleshooting Pocket Guide, Version 2, which has step-by-step directions to successfully hook up to any receive software, whether you are using the Windows XP, 7, or 8 operating system. 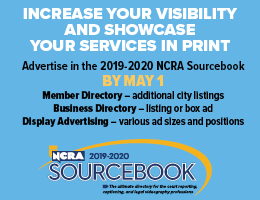 You can buy this valuable resource in the NCRA Store. Another valuable resource available to educate yourself on troubleshooting realtime: the Realtime Systems Administrators Workshop and Exam. The workshop delves into the troubleshooting basics of cable to WiFi connections and realtime setups. 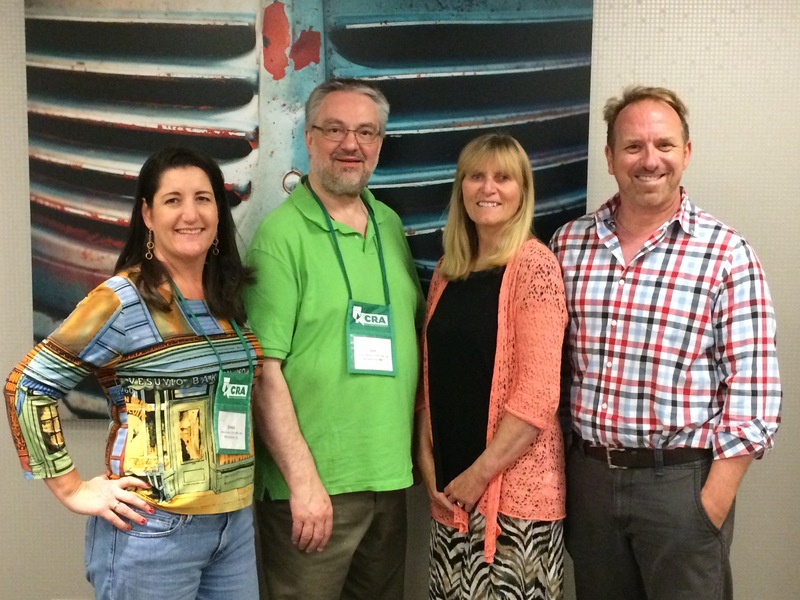 The workshop takes place at NCRA’s TechCon and the Annual Convention & Expo. 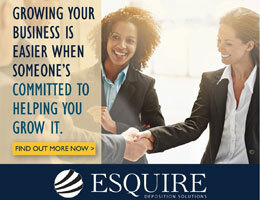 Make the personal commitment – sign up now! Be confident in your realtime troubleshooting skills. Take advantage of the many resources and opportunities available to you to reach your potential and become the most important person in the courtroom or deposition: a proficient realtime reporter who has the education and resources to connect 100 percent of the time! Sandy VanderPol, RMR, CRR, who is also a Realtime Systems Administrator, is a freelance reporter in Lotus, Calif., and a member of the Realtime Systems Administrator Certificate Committee. She can be reached at realtimecsr@calweb.com. The Realtime Systems Administrator Workshop and Exam is offered at NCRA’s TechCon and the NCRA Convention & Expo. NCRA’s Realtime Systems Administrator and Certified Legal Video Specialist training programs, to be held during TechCon, April 10-12, in Denver, Colo., include the opportunity to earn the RSA certificate and the CLVS certification. To support new efforts to include more focus on the wireless environment for providing realtime in the Realtime Systems Administrator program, NCRA has announced that LiveDeposition, a global provider of local and cloud-based remote realtime streaming deposition and video conferencing solutions, will provide the routers used during the Realtime Systems Administrator exam. The Sherman Oaks, Calif.,-based company’s LocalRealtime system will be used in the exam. This year’s TechCon offers court reporters information on the latest ways to connect to clients. The Realtime Systems Administrator Workshop will be held all day on April 10 and during the morning of April 11. The Realtime Systems Administrator Exam will be held during the afternoon of April 11, and people interested in signing up for a slot should do so early. In addition, the RSA Committee will once again offer the Realtime Systems Administrator Prep Course for those not yet ready to take the workshop. The Prep Course will be held April 12. The CLVS Seminar & Workshop will be also be held during TechCon. The required day of training for people who want to earn the CLVS certification is April 11, and the CLVS Council has available slots for the CLVS Production Exam for returning candidates on April 10-11. Experienced legal videographers may apply to take the CLVS Production Exam the day following the CLVS Seminar on April 12. NCRA’s 2015 TechCon is the premier technology-focused event that promises cutting-edge sessions and workshops, including specialized educational tracks. TechCon sessions are always innovative, creative, and cutting edge and are led by dynamic and informative speakers who represent the top experts in their fields. “TechCon is the best place to be for court reporters and videographers who want to integrate the latest technology into their business,” said Dana Hayden, CCR, RMR, CRR, a court reporter from Huntsville, Ark., and a member of NCRA’s Technology Committee. NCRA’s TechCon 2015 is being held at The Curtis: A Doubletree Hotel by Hilton in Denver, Colo. For information, including more about the scheduled workshops or sessions, or to register, please visit www.NCRA.org/TechCon. LiveDeposition, a leading provider of local and cloud-based remote realtime streaming solutions for the legal industry, issued a press release on Feb. 19 to announce that its LocalRealtime system will be used by the National Court Reporters Association during its Realtime Systems Administrator exam being offered at the Association’s 2015 TechCon event, April 10-12 in Denver, Colo.
Five minutes, twenty slides. What would you say? The idea is simple. Think of a technology-related topic that you’re passionate about sharing with court reporters, videographers, trial presenters, and legal technology professionals from around the country. Now, imagine you only had five minutes to get your message across. How would you captivate listeners, persuade the masses, and ignite further discussion in less time than it takes to drink your morning cup of coffee? Ignite sessions, started by Brady Forrest of O’Reilly Media and Bre Pettis of Etsy.com, have become an international phenomenon, with gatherings in Helsinki, Paris, New York, and a multitude of other locations. Presenters prepare 20 slides that auto-advance every 15 seconds, giving them five minutes to make their point. Once time runs out, the presentation is over. If you’ve been waiting for your five minutes of fame, this is your chance to claim it. 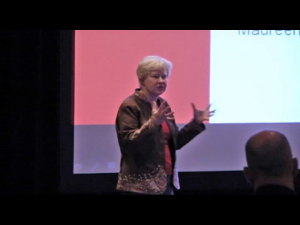 Ignite presenters at TechCon 2012, TechCon 2013, and TechCon 2014 gave talks to standing-room-only crowds numbering in the hundreds, and the viral videos of their presentations have been viewed by thousands. So only one question remains: Are you up to the challenge? More information about the Ignite format can be found at http://ignite.oreilly.com. If selected as an Ignite speaker, you’ll be part of one of NCRA’s newest and most innovative programs, and you’ll have a chance to show off your expertise and convictions to your peers. You’ll position yourself as an industry thought leader, and we’ll share your presentation with the world by recording and posting it on NCRA’s YouTube channel. If your session is approved, you’ll need to develop a 20-slide auto-advancing PowerPoint and start rehearsing your presentation. NCRA will provide you with a template. Preparation and timing will be key to your success. You’ll need to be available at TechCon 2015 in Denver, Colo. on the evening of Saturday, April 11, 2015. If your session is approved, we’ll provide you with a more specific time slot. Due to the large number of presenters involved, each presenter will be responsible for his or her own travel expenses. The atmosphere will be business casual. Experience has shown us that the most successful speakers are those that entertain and enlighten the crowd by instilling passion, energy, and humor into their presentations. An Ignite session is part stump speech, part social club, and part seminar. You’ll find the resources below extremely helpful in helping you to understand the Ignite format and choose your topic. Choose a topic that you’re passionate about, and share that passion with the audience. Tell a story to illustrate the takeaway that you’re trying to get across to the audience. If you have fun with your presentation, the audience will too! Embrace the informal nature of Ignite presentations and work in a healthy dose of humor, pop culture, wordplay, literary references, and anything else that will hit home with your listeners. To help get the creative juices flowing, take a look at these Ignite videos. 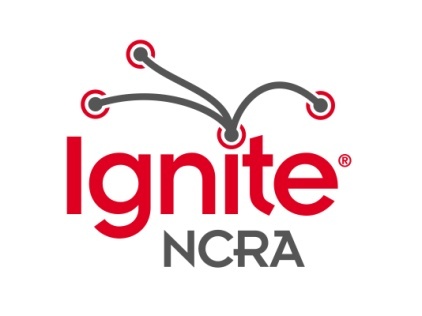 If you are interested in submitting a proposal for Ignite, please contact Angie Ritterpusch at aritterpusch@ncra.org. 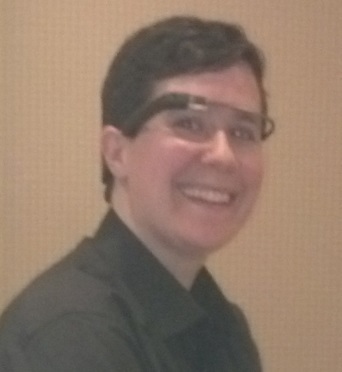 Mirabai Knight, RDR, CRR, CBC, CCP, models Google Glass during her talk at TechCon. Attendees at a “wearable realtime” session held during NCRA’s 2014 TechCon in April were given a glimpse and a try-on of the latest in high-tech fashion, Google Glass, by presenter Mirabai Knight, RDR, CRR, CBC, CCP, owner of StenoKnight CART Services in New York City. Knight, who provides on-site and remote CART services to deaf and hard-of-hearing medical students and professionals locally, as well as nationally through White Coat Captioning, is recognized as one of the profession’s experts on leading-edge technology. In her presentation, she shared with the audience the reasons why she spent $1,500 to purchase her Google Glass and serve as one of the company’s first 1,000 beta testers, as well as how she uses it in her professional work, the pros and cons of the product, and where she sees the technology going in the future. According to Knight, the Google Glass basically functions as a mini projector that beams into the wearer’s eyeball and has been crucial to assisting the majority of her clients who are deaf or hard of hearing and working in various medical fields. “The Glass has proven to be a great tool for people who need to work with their hands, work with people, and are not able to hear. The ability to have a discrete source of captioning is really crucial. It provides them full immediate access to the spoken word, and I don’t have to be on site. I can be removed and just get the remote audio remotely, and the conversation feels like it is directly between the doctor and the patient,” Knight explained. Knight offered attendees at the session an opportunity to try on her Google Glass to experience how it works. She then captioned herself as she spoke to the audience and answered questions, streaming what she said across the upper corner of the right lens. She noted that some of White Coat Captioning’s clients require discretion and have used the Google Glass in situations where interpreters were not available, for example during artwork critiques, at networking mixers, and orientation events. Knight also shared some of the limitations she found with Google Glass including eye strain, difficulty in reading text that is overlaid on busy backgrounds, sanitization especially when working in a medical situation, and a limit of four hours of battery time. In addition, people who wear regular glasses need to wear contact lenses to be able to use the product. While Google Glass is still in its prototype stage, Knight believes that the price will drop once it becomes available to the public. However, she noted, just like the introduction of the Segway as an alternate mode of transportation, the success of Google Glass is going to be determined in large part by who uses it and how often. Still, she believes there are venues such as courtrooms and deposition rooms where the product could prove invaluable in helping people who are deaf or hard of hearing. 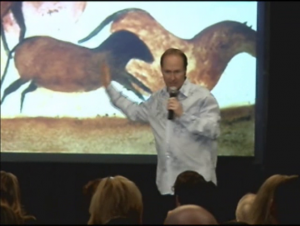 The e-seminar is now available here. NCRA’s 2014 TechCon conference attracted more than 200 professionals and a dozen vendors when it was held April 11 – 13 in Atlanta, Ga. The event, now in its third year, offers court reporters, legal videographers, trial presenters, and other legal professionals an opportunity to interact and learn about new and emerging technology trends in the legal services industry. “For those who are interested in cutting-edge technology and the specialized programs NCRA offers, TechCon is the must-attend event of the year,” said NCRA President Nancy Varallo, RDR, CRR, Worchester, Mass.